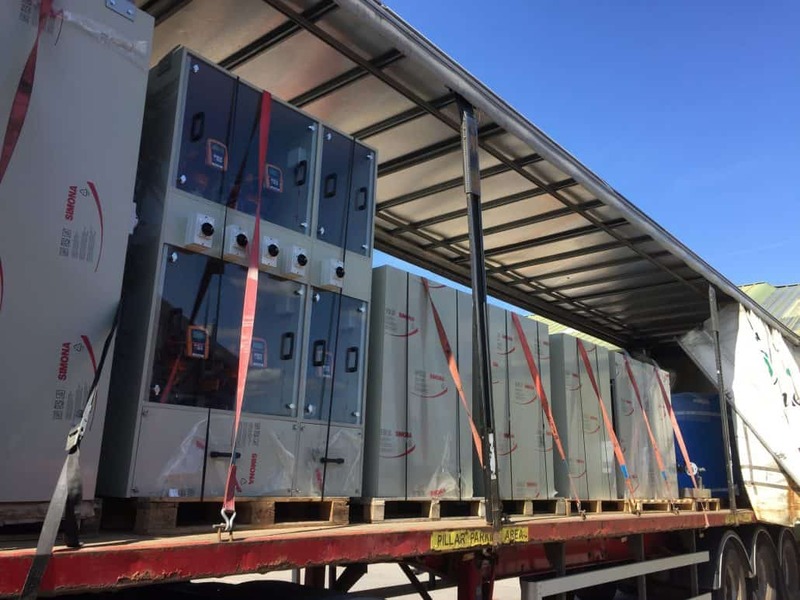 Following months of design, expediting and manufacturing at the Somerset Headquarters, new Pure & Waste Water Plant is now on its way to the east coast of Spain in readiness for installation and commissioning in just a few months’ time. 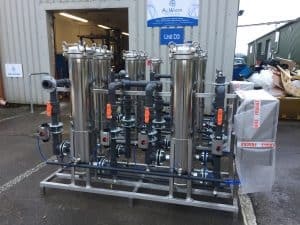 Equipment, including Duplex Water Softeners, Bulk Salt Saturator, 20m³/hour AWT Maxi Reverse Osmosis Plant (complete with SBS & Antiscalent Dosing), Stainless Steel Cartridge Filters, UV, Activated Carbon Filtration and Duplex Mixed Bed DI accompanies a plethora of Chemical Dosing Cabinets, Treatment & Storage Tanks, Lamellar Settlers, Filter Press and Skid Mounted Pump Sets, has all now been safely packed and forwarded to the new factory site. The AWT team are now working equally hard on a very similar project due for delivery to Northern Italy and hoping that this will also be achieved to enable a small extension to the all too brief summer!